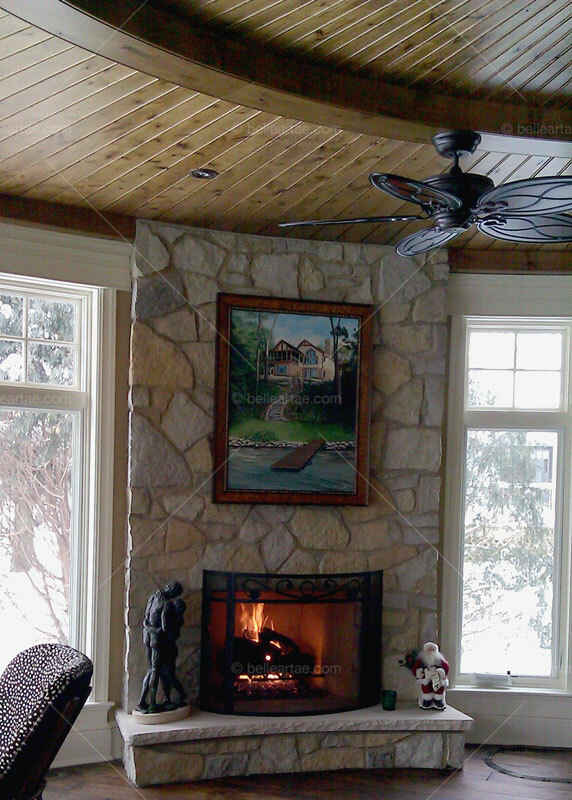 Our client presented us with an interesting challenge: design something "special" for the ceiling of this half-round sun room. 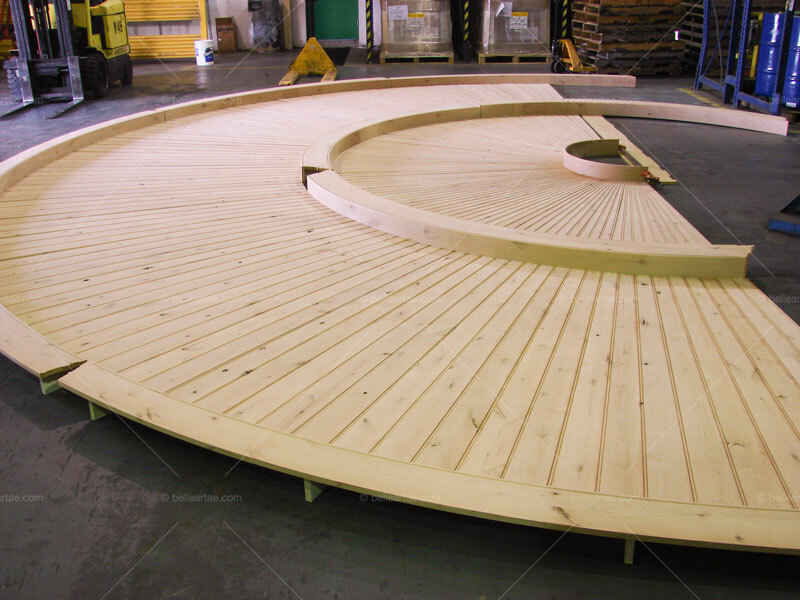 His customer wanted a more dramatic look than the two radial beams as originally conceived, so we designed and engineered this unique, knotty alder, beaded, sunburst ceiling. The ceiling detail included a center hub, middle beam, and outer beam, with continuously tapering beaded, ship-lap slats. 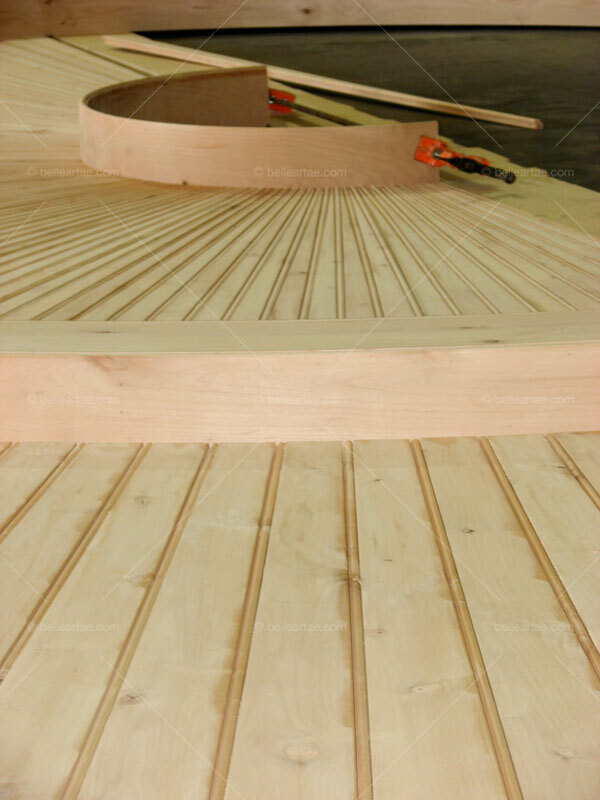 The full middle beam was beaded on each edge, the outer beam and hub were beaded on the interior edge only. 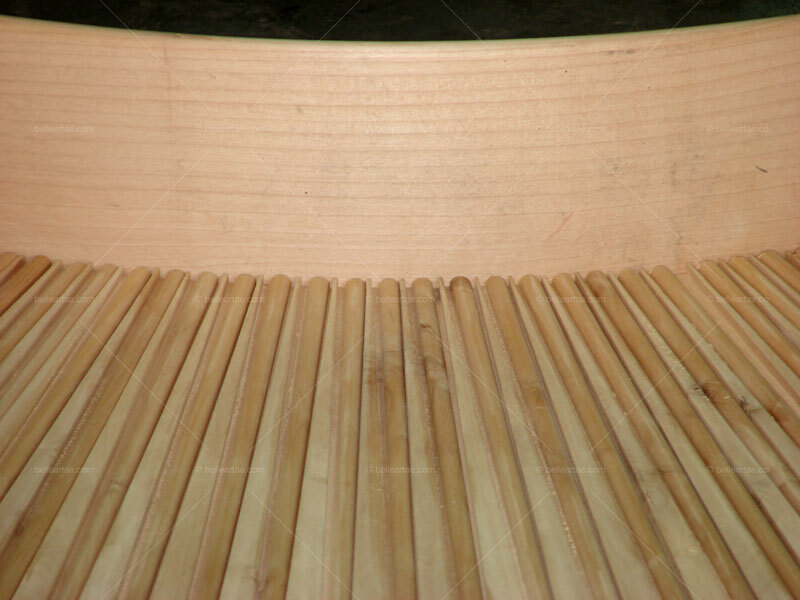 The tapered slats were pre-cut between the hub and middle ring, the outer slats were pre-cut to fit the middle ring, and run long to be fitted in the field once the outer ring was scribed to the wall. 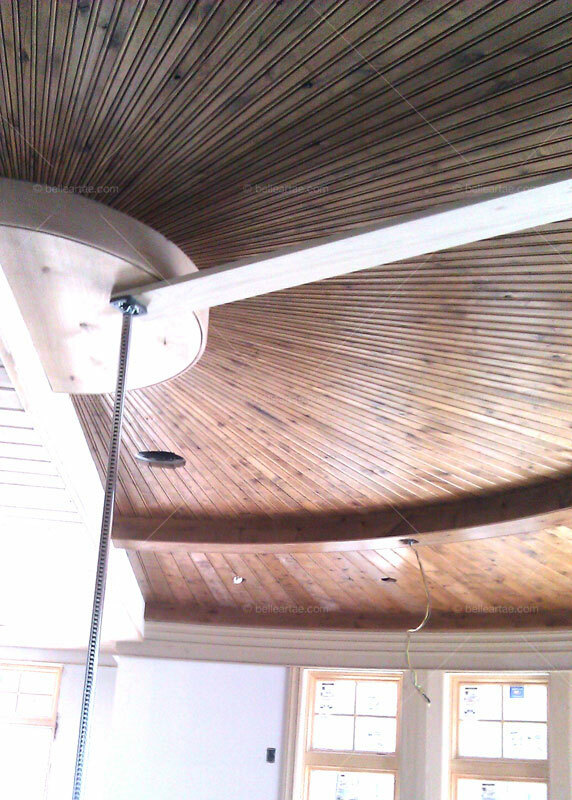 Our client's customer was thrilled with the design and execution of this custom ceiling detail. She particularly liked that the tapered slats and hub created a sunburst effect, finding it a lighthearted expression of a "sun room".